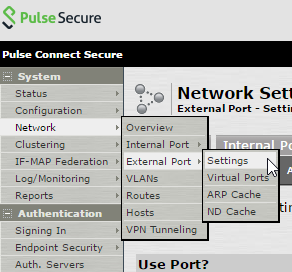 Then in the IPv4 Settings Section, enter in the IP, mask, and gateway for the external interface. Make sure that Use Port? is Enabled. Then select Save Changes to save.